LANA CROWSTER is a singer, composer, arranger and vocal coach based in Cape Town, South Africa. 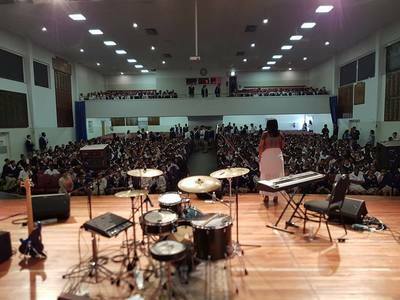 Lana started singing at the age of 2 and began her career in performance at the tender age of 6. Armed with a Bachelors Degree in Music and a Post Graduate Diploma in Jazz Performance from The University of Cape Town, Lana has emerged as one of Cape Town​'​s most sought after performers, having just competed in the first season of The Voice South Africa where she made the top 8 on Team Bobby Van Jaarsveld (Top 32 in the competition) as well as winning the top prize of performing at The 2016 Cape Town International Jazz Festival in the ESP Afrika Young Legends Competition. 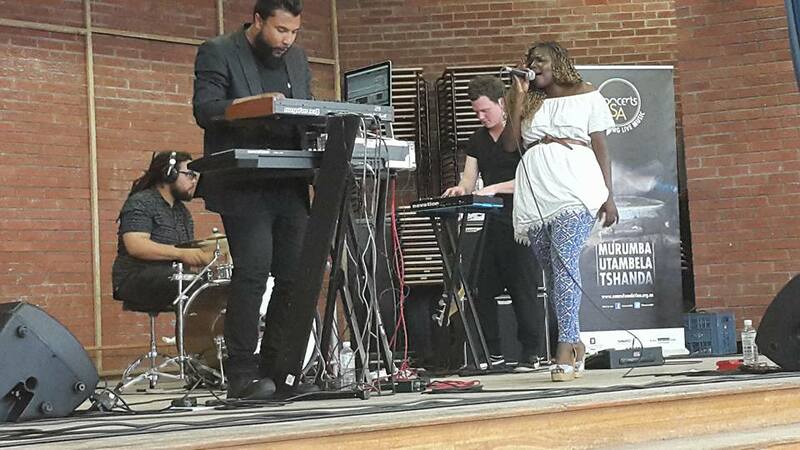 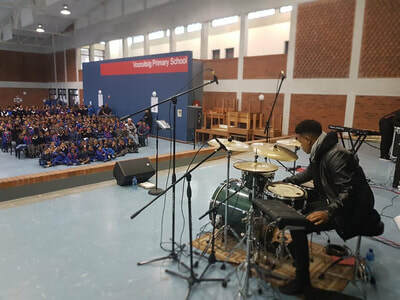 With a career already spanning 15 years, and which includes sharing stages with Josh Groban, Jazz maestro George Benson, Toya Delazy, Arno Carstens, Goodluck, Karen Zoid, Zaki Ibrahim, Kahn Morbee, Chad Saaiman, Matthew Gold, Zolani Mahola, Vicky Sampson, Karen Kortje, Kurt Darren, Elvis Blue, this vocal powerhouse has already proven that her star is one that is surely on the rise. 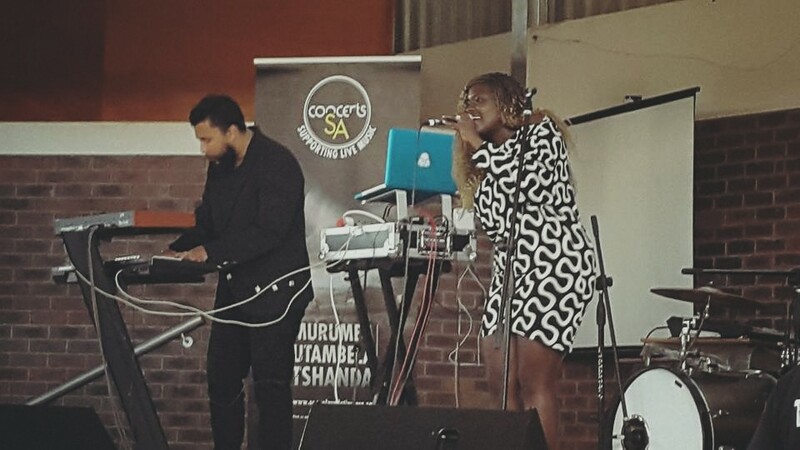 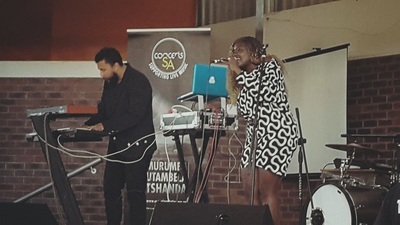 ​In 2014 she released an EP of original material entitled ‘Seasons’ which saw her mixing her love of Jazz, Neo-Soul, R&B, House and Hip-Hop to create a sound that is as diverse and original as her personality. 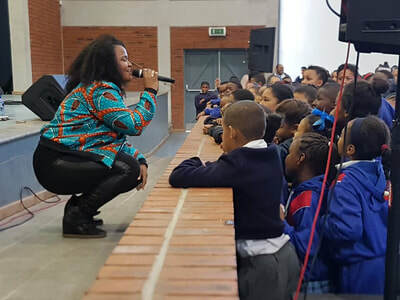 She uses her music to paint a picture of a woman coming into her own. commenting on love and life, producing a sound that is as emotionally and musically compelling as the stories she tells. 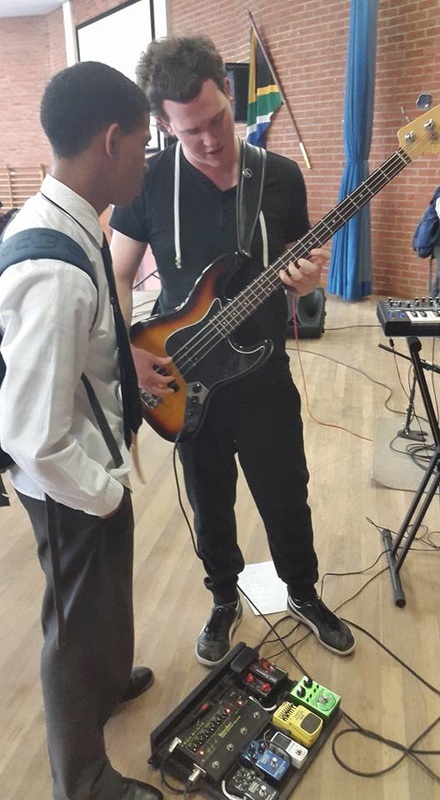 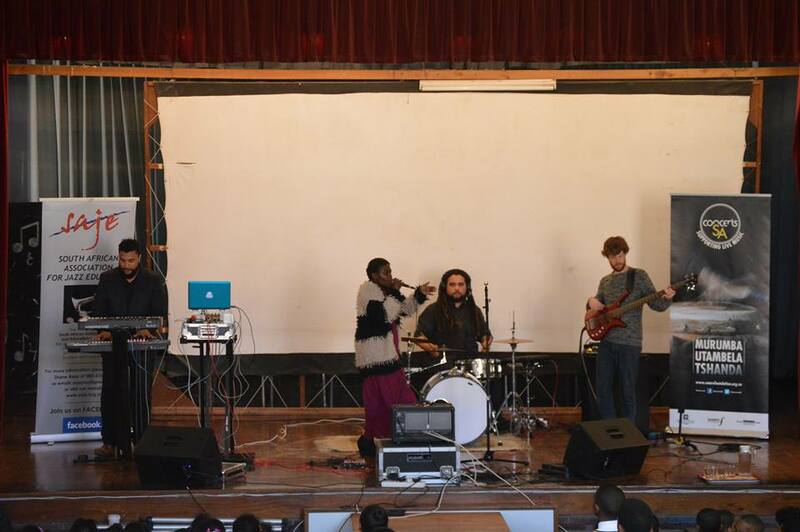 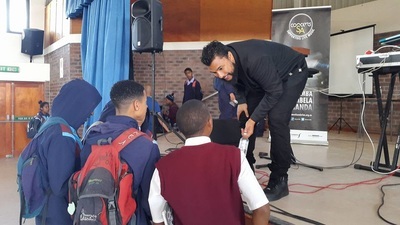 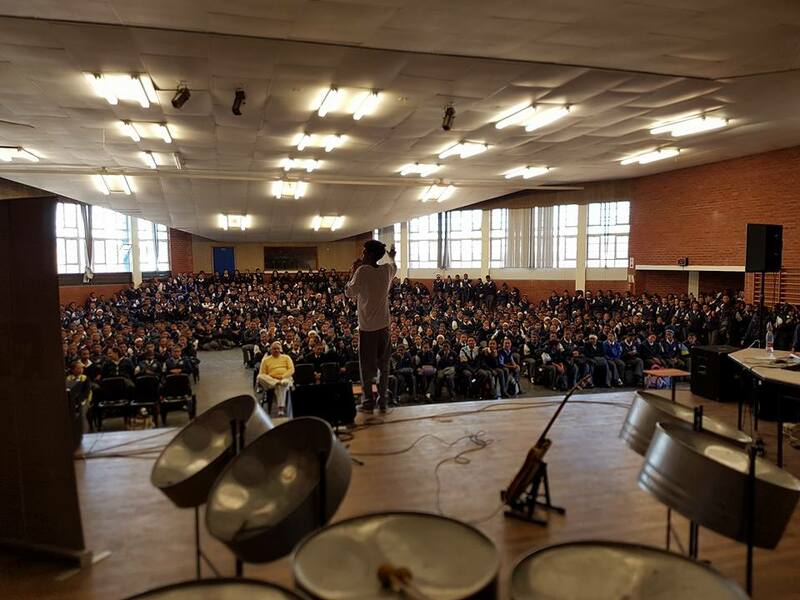 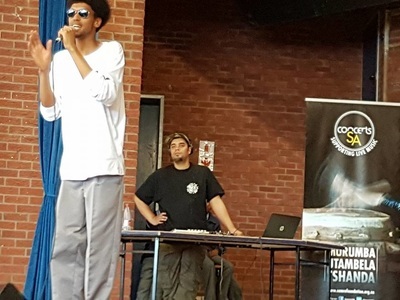 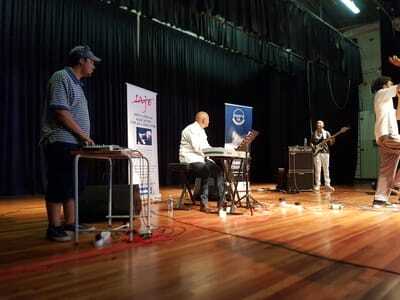 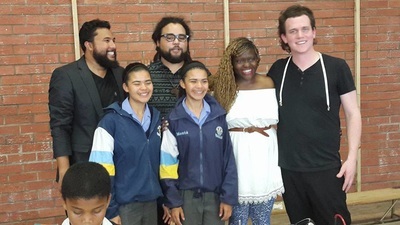 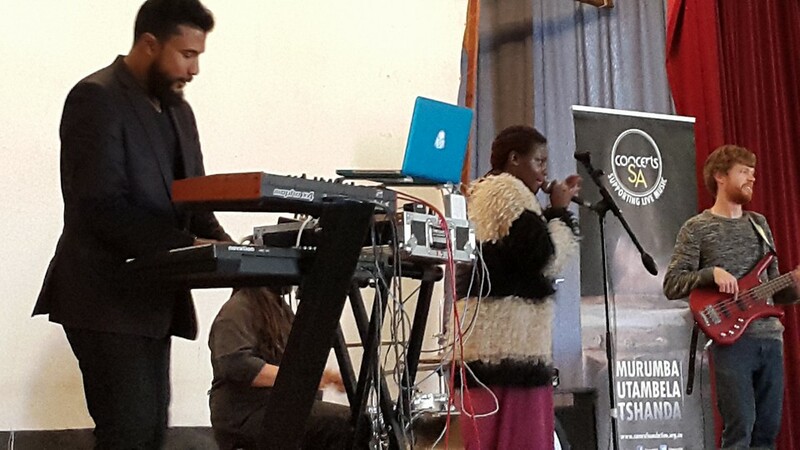 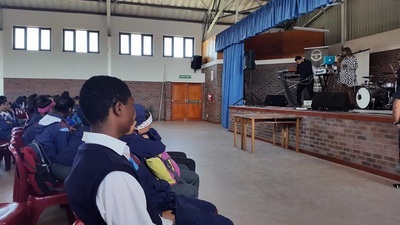 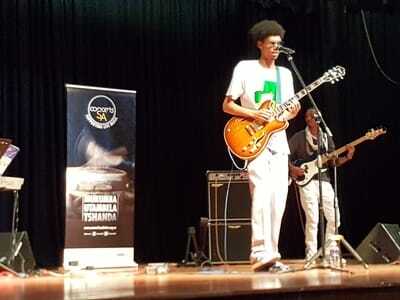 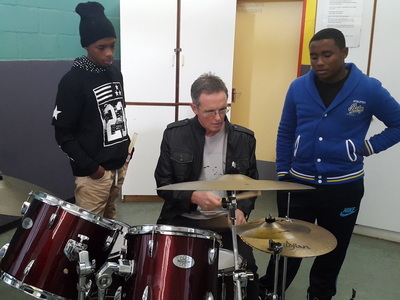 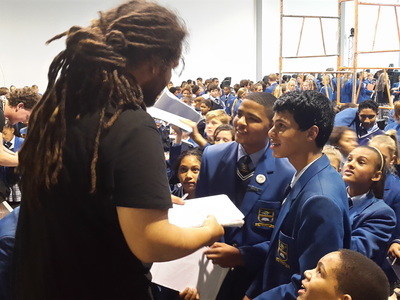 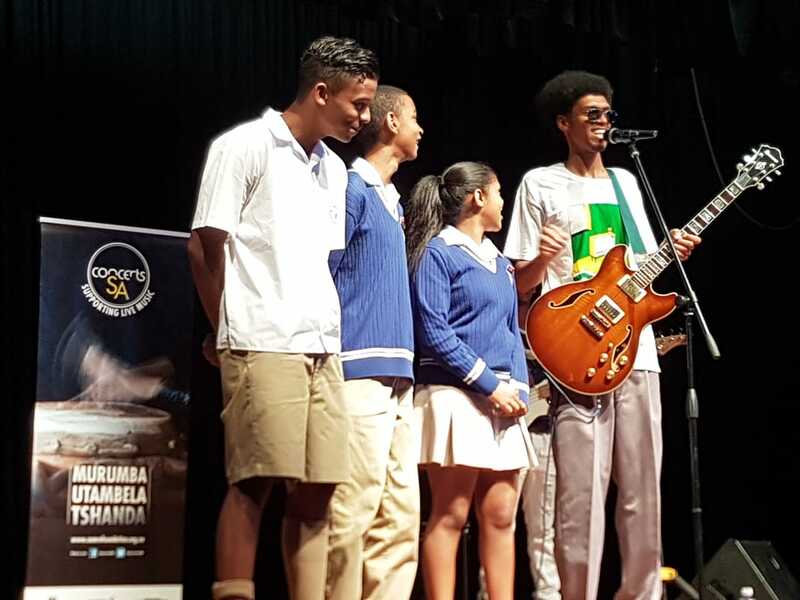 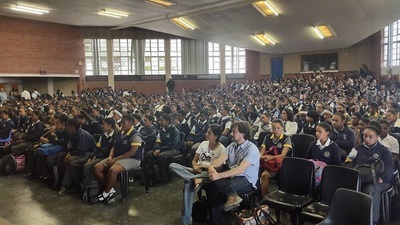 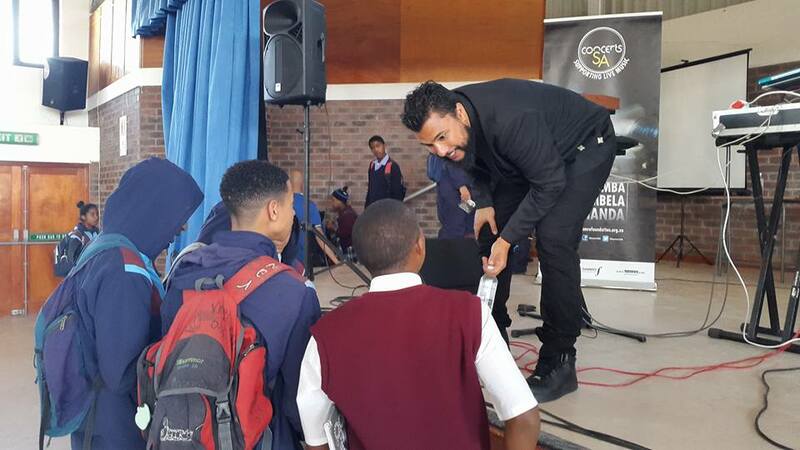 Guitarist and hip hop artist Jitsvinger (Quintin Jitsvinger Goliath), and hip hop producer and beat maker Arsenic (Gary Erfort) - collectively known as Jitsenic – joined forces on Thursday 13 October at Weston High School in Vredenburg and on Monday 5 December at Bergvliet High School for live concerts. 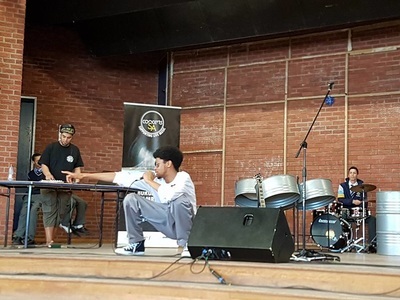 Jitsvinger and Arsenic’s partnership results in an unexpected, fresh new sound that smoothly combines the voice of Cape Town’s youth, with the sounds of its musical legends. Their style combines the art of storytelling, poetry and jazz, presented in a hip hop package that appeals to audiences both young and old. 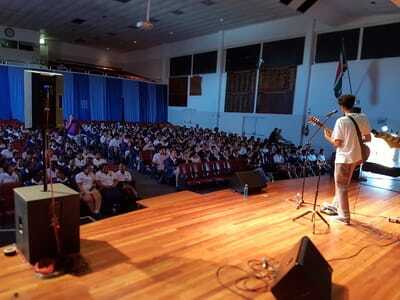 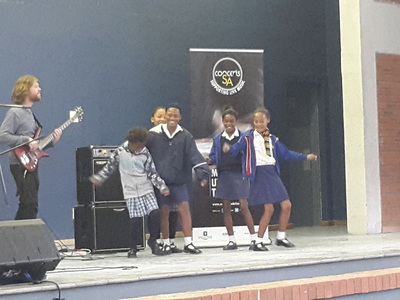 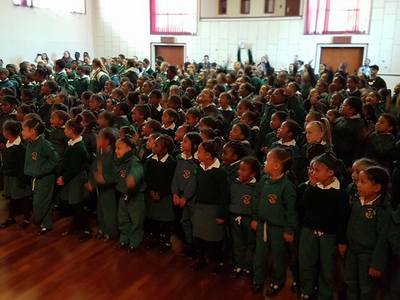 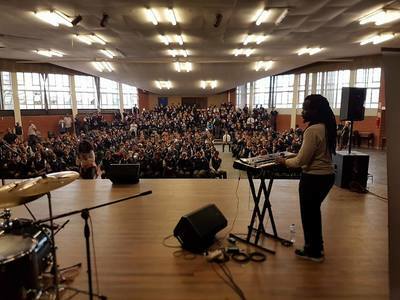 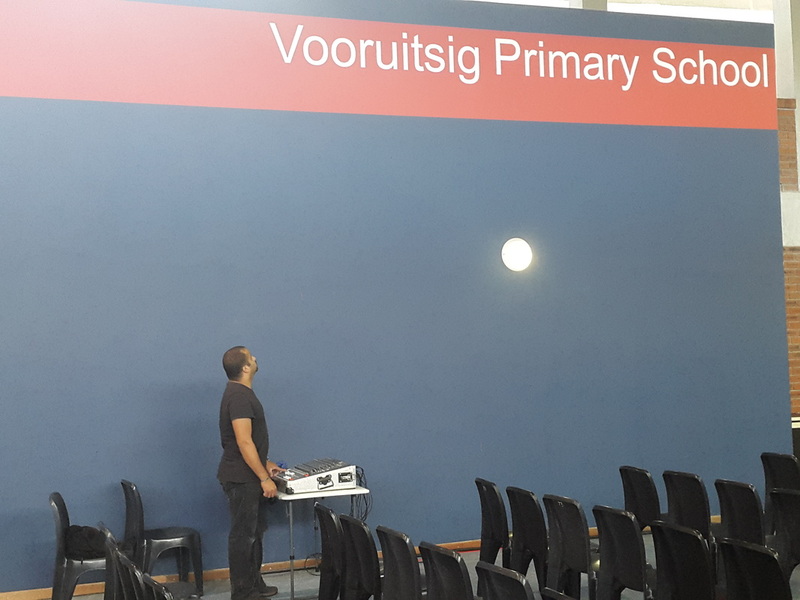 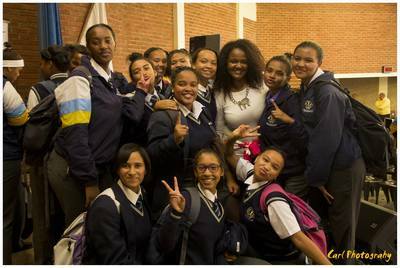 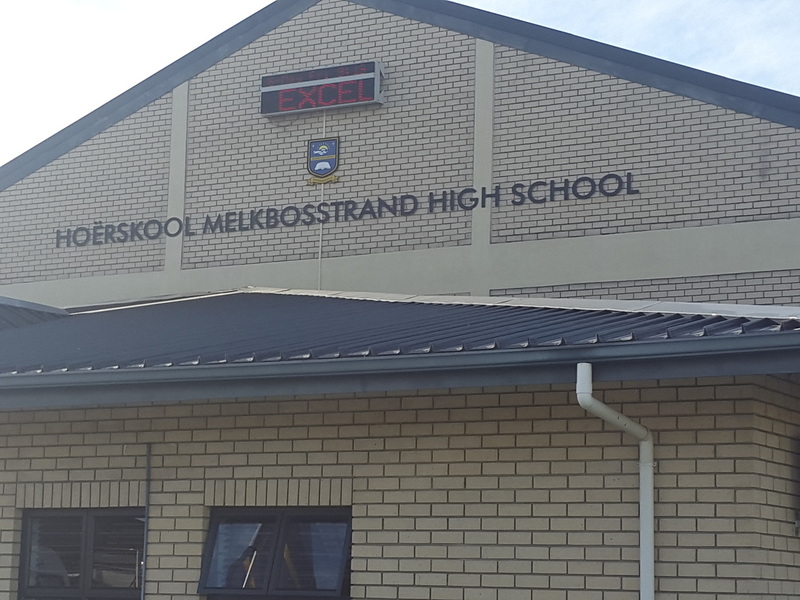 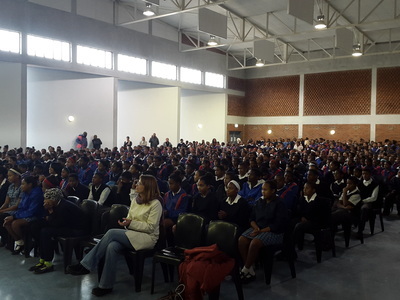 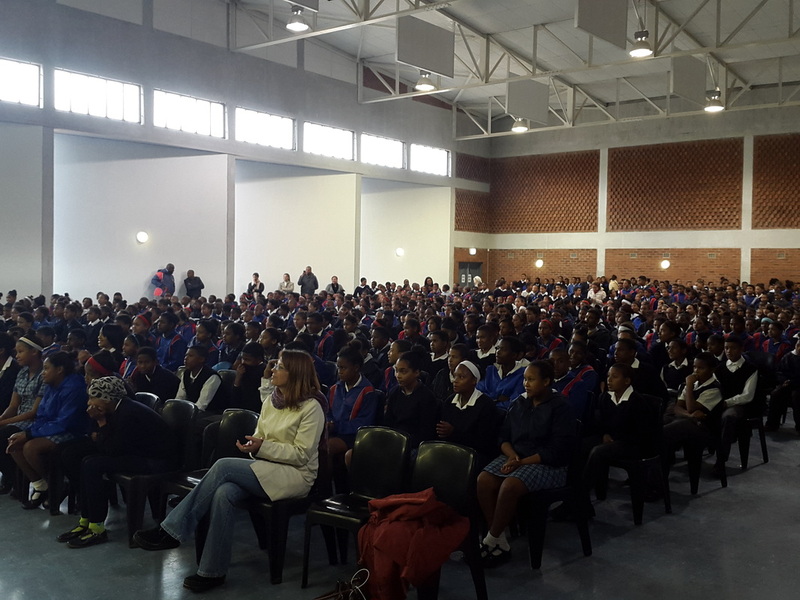 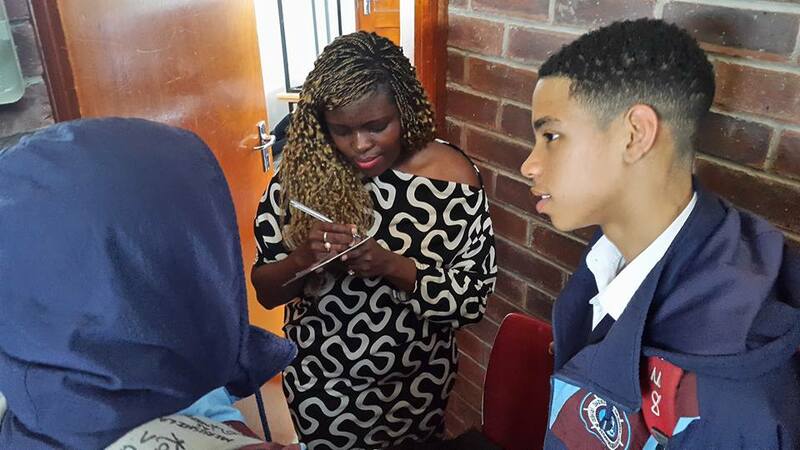 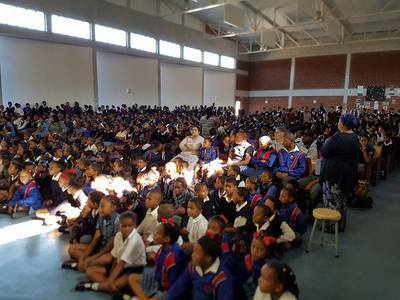 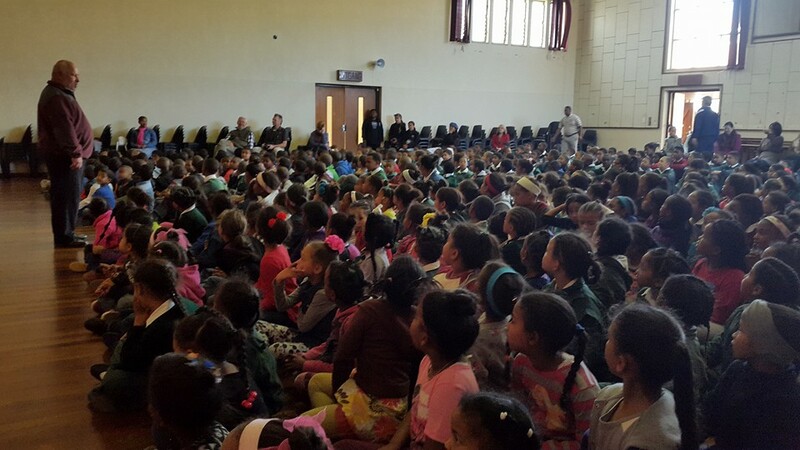 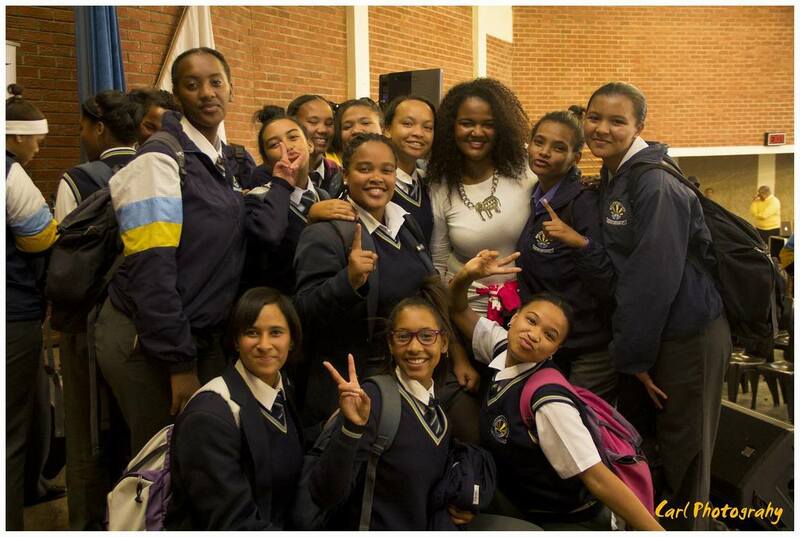 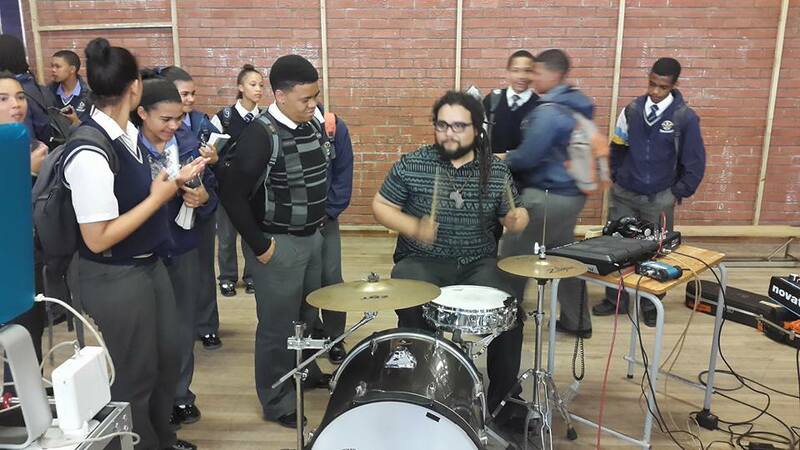 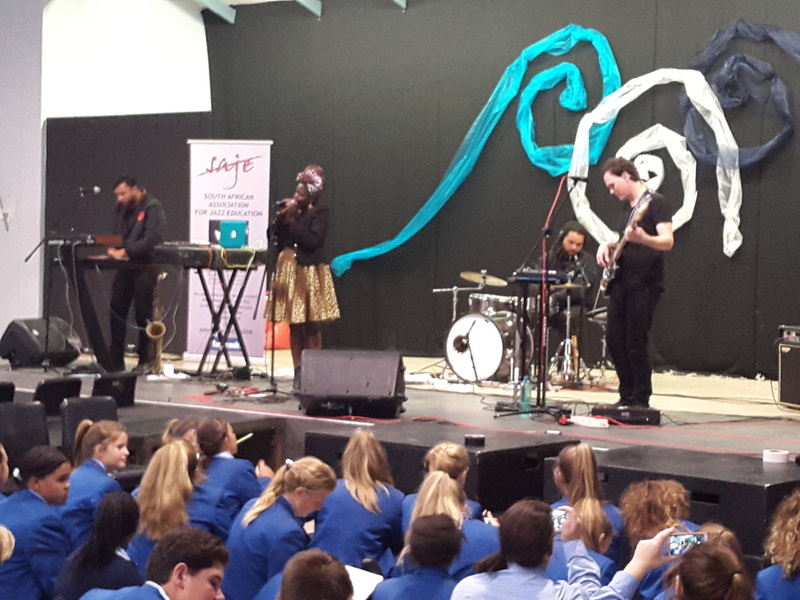 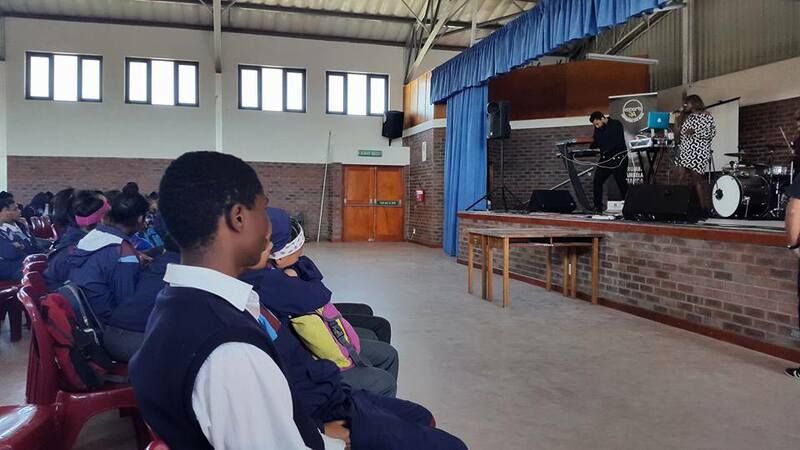 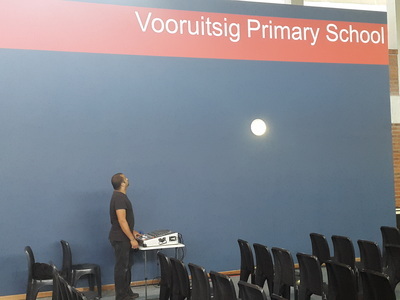 ​These concerts were presented by SAJE for the Concerts SA School Circuit. 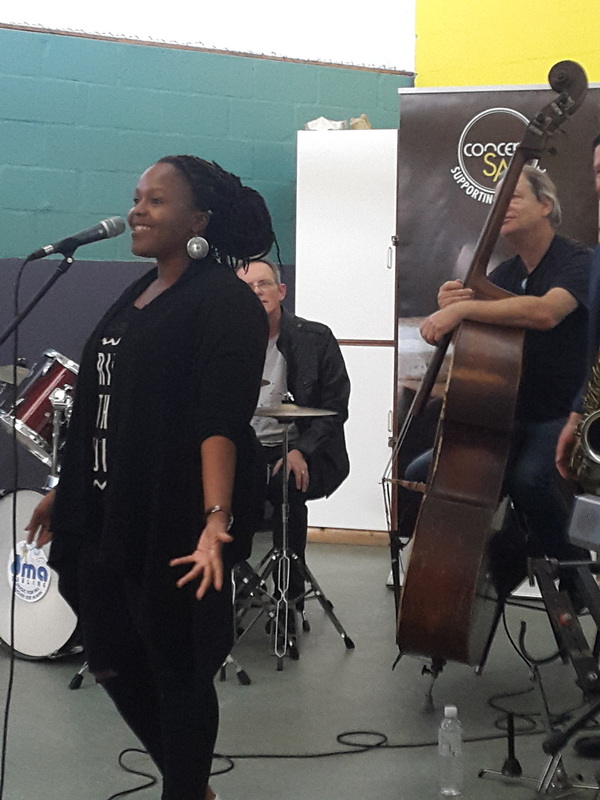 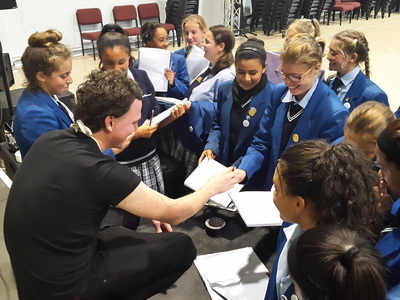 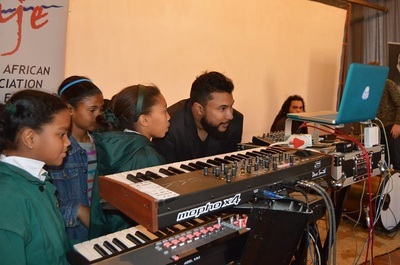 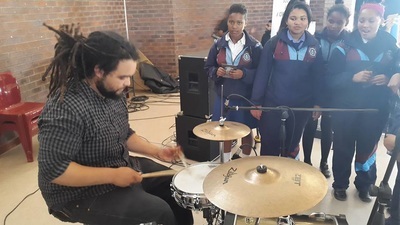 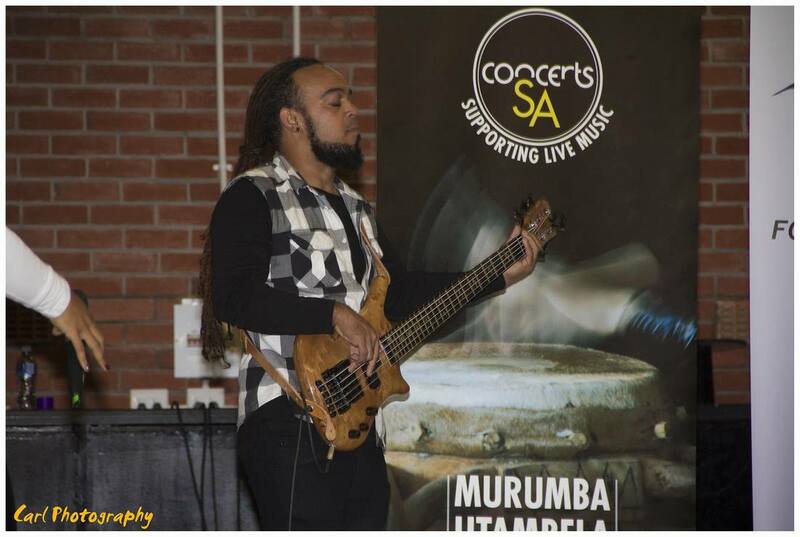 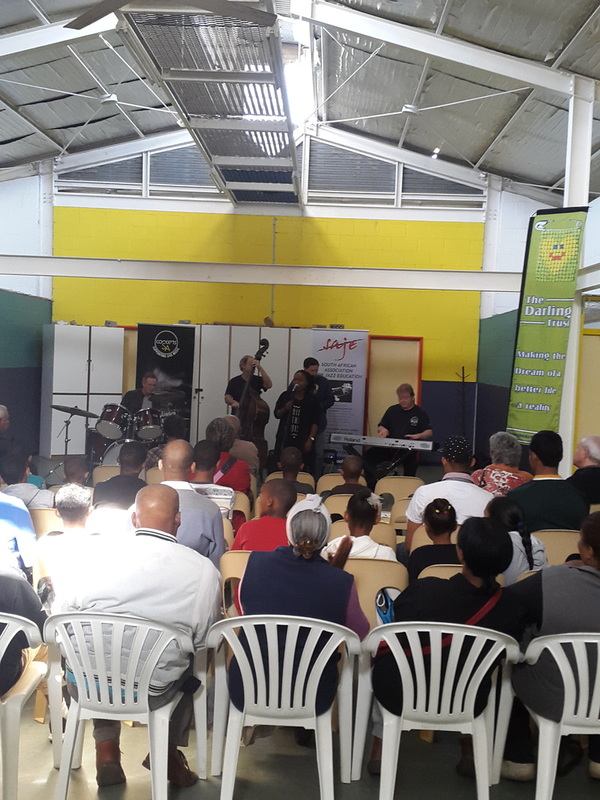 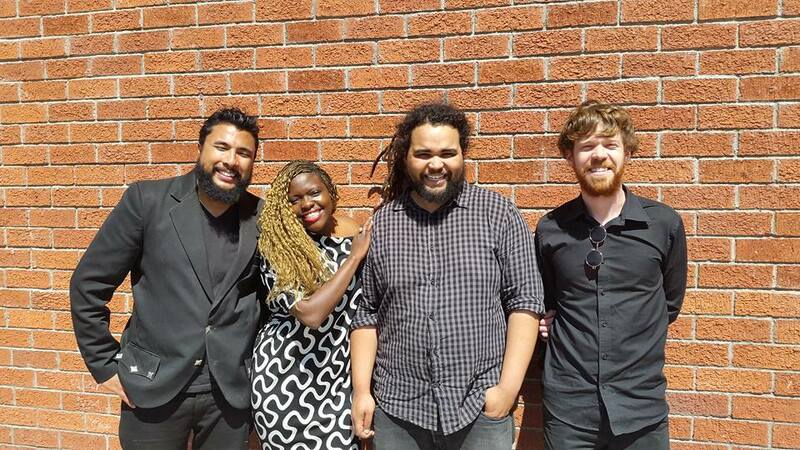 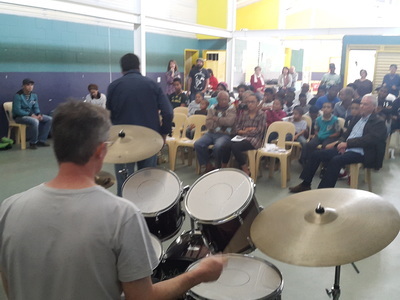 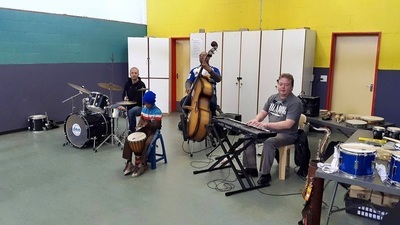 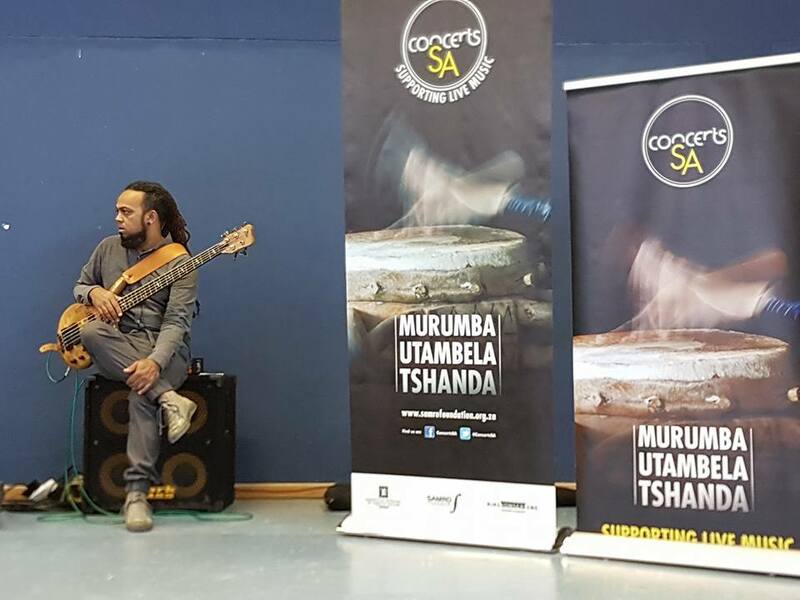 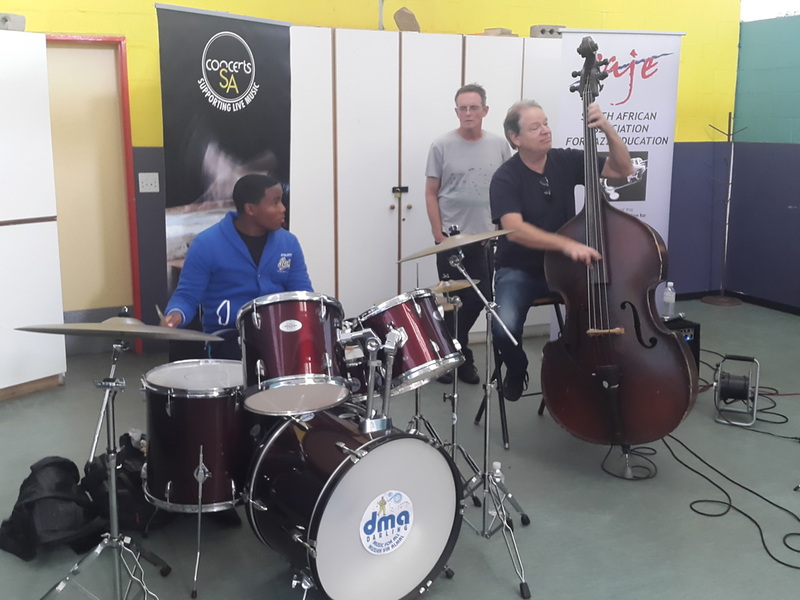 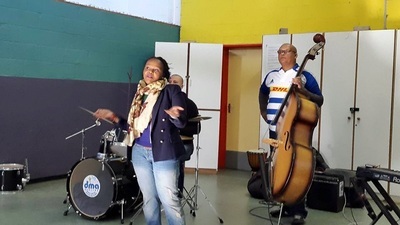 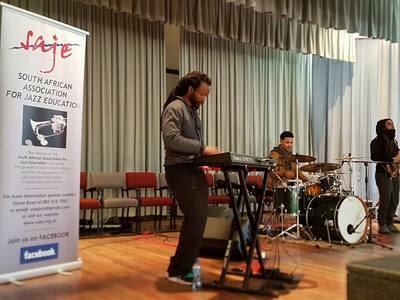 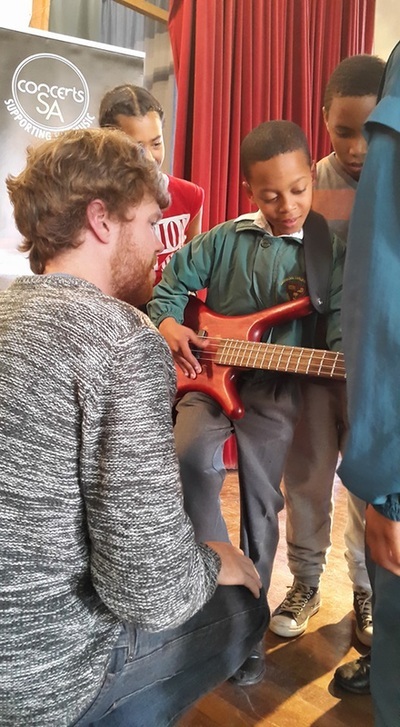 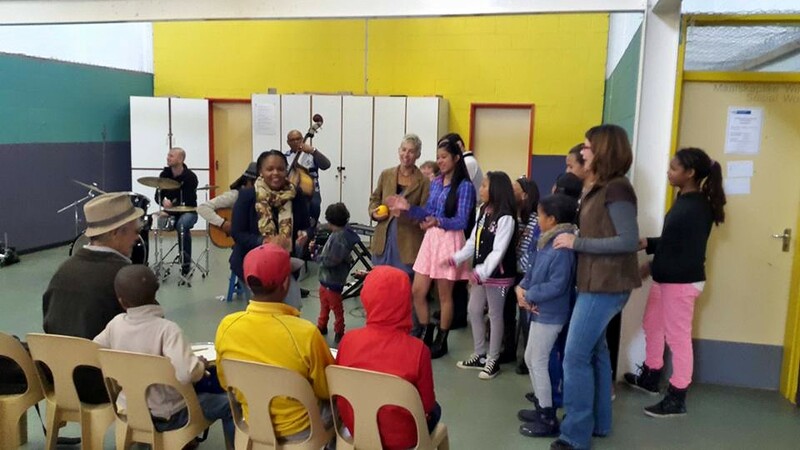 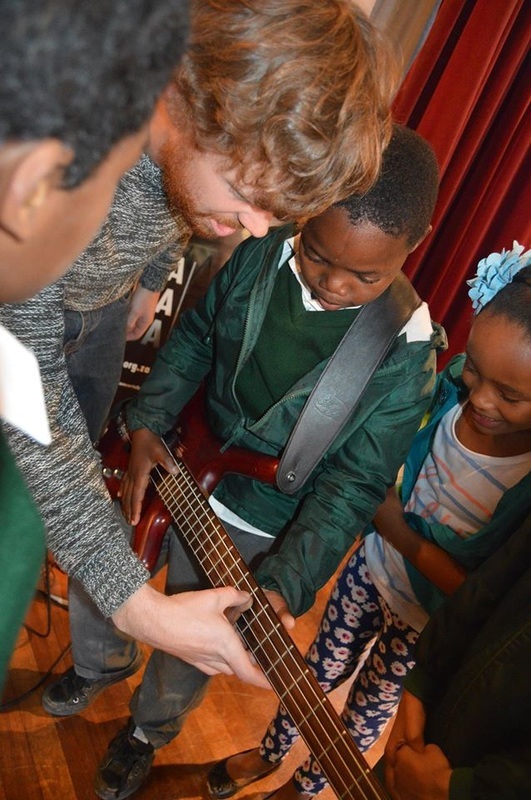 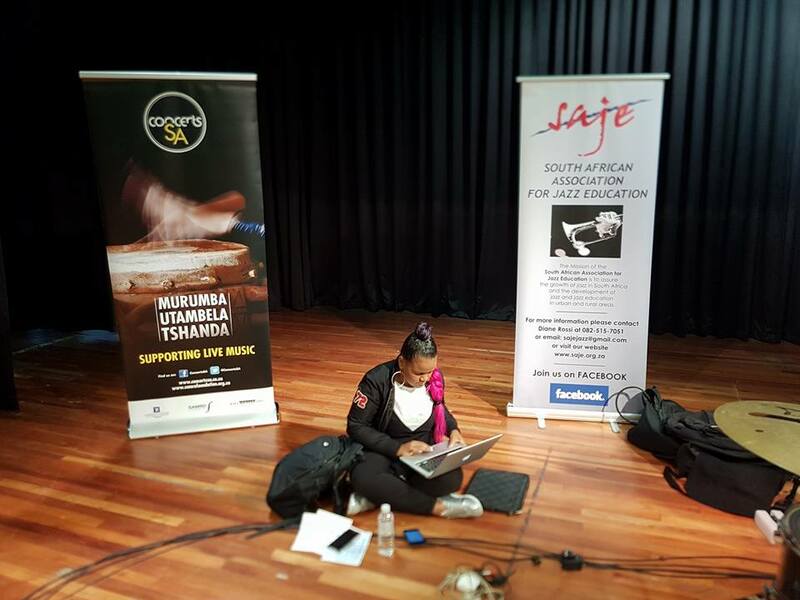 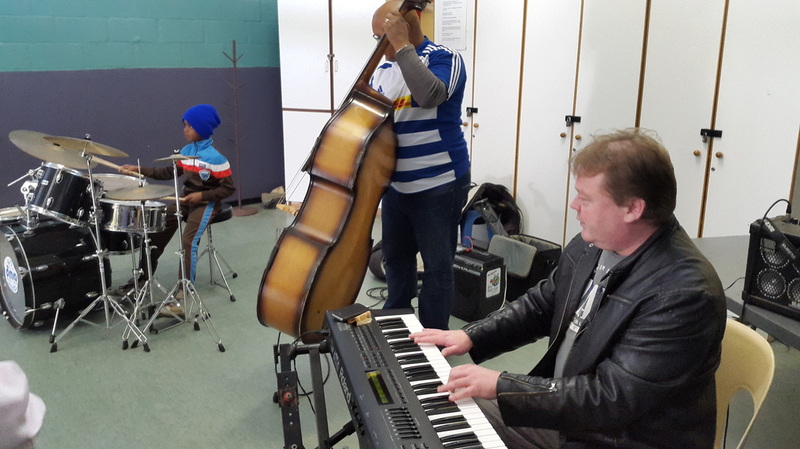 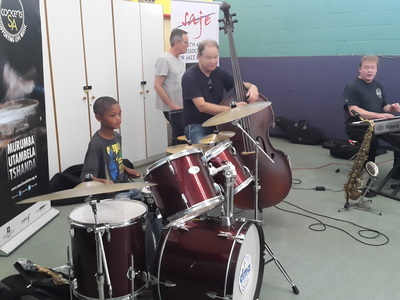 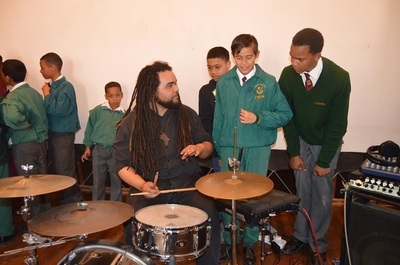 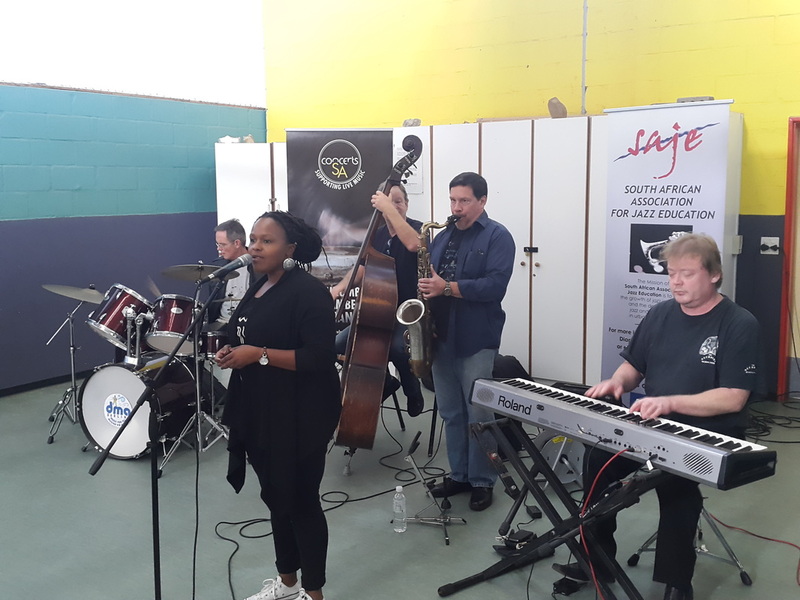 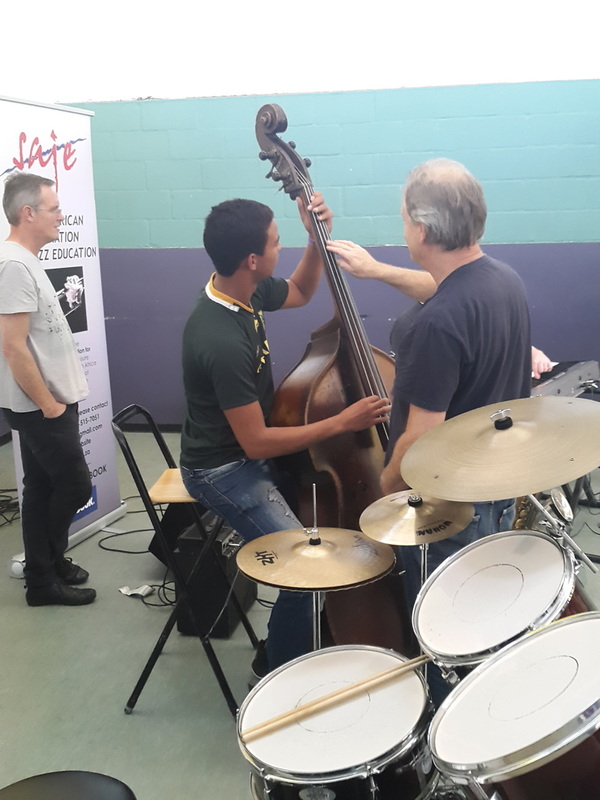 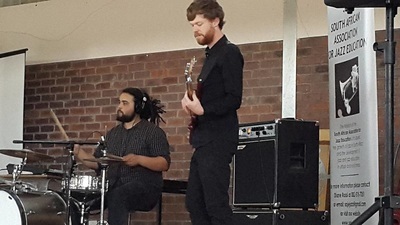 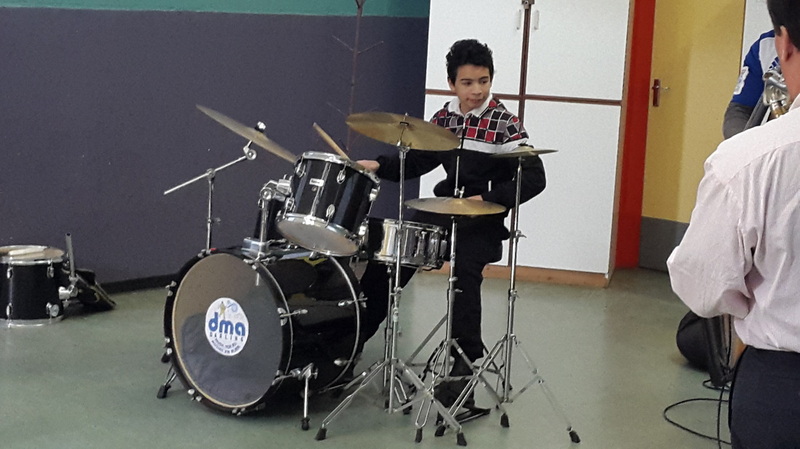 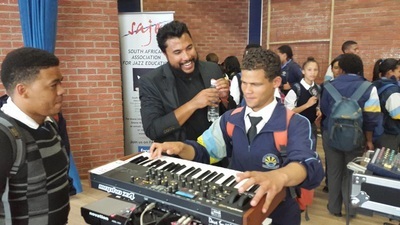 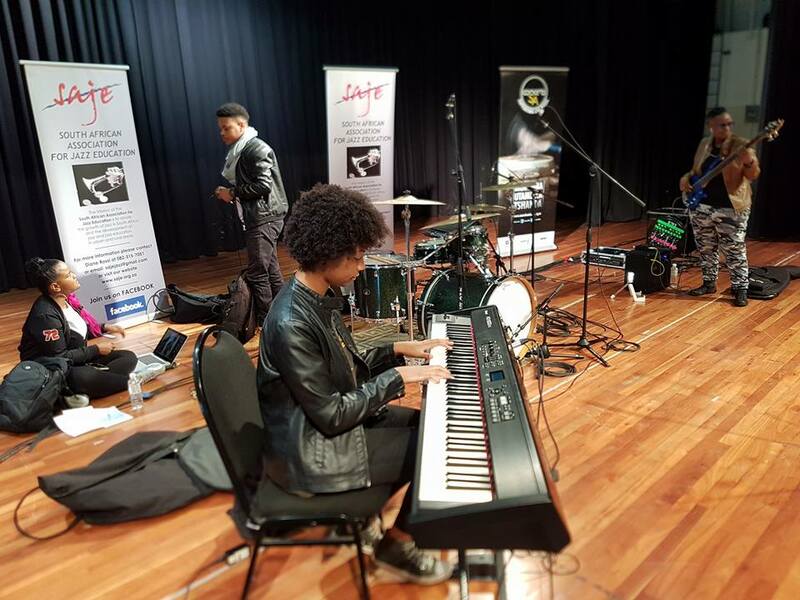 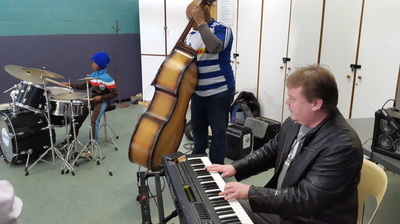 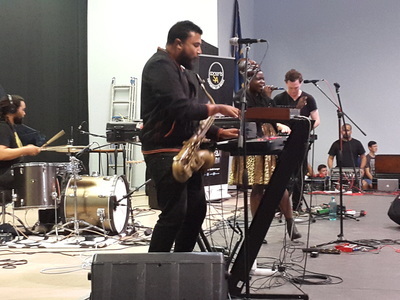 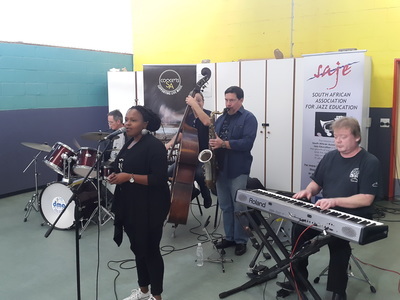 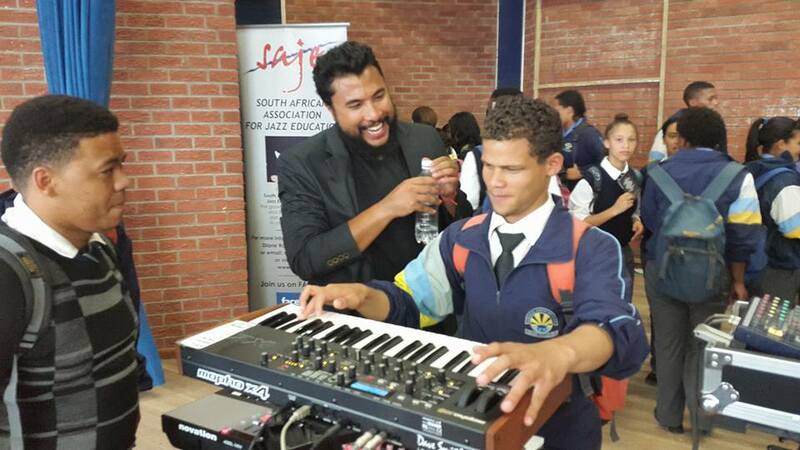 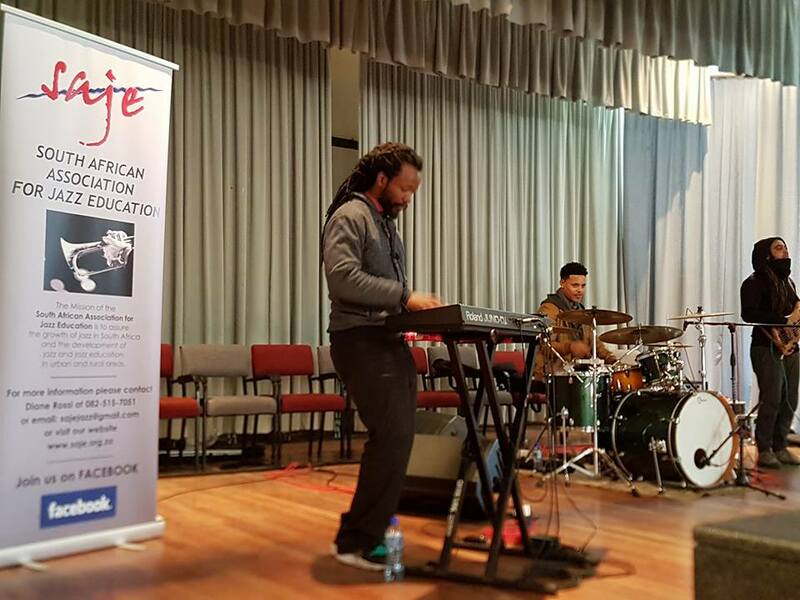 ​The SAJE - South African Association for Jazz Education in conjunction with Concerts SA will present music workshops in Darling North, Darling (Cape West Coast) on Saturday 21 May from 10.30am onwards - all welcome! ​Woodwinds, piano, bass, drums and vocals! 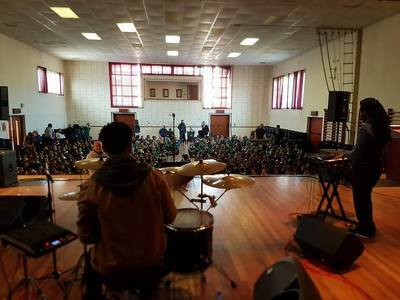 Bring your parents, siblings, grandparents and friends! 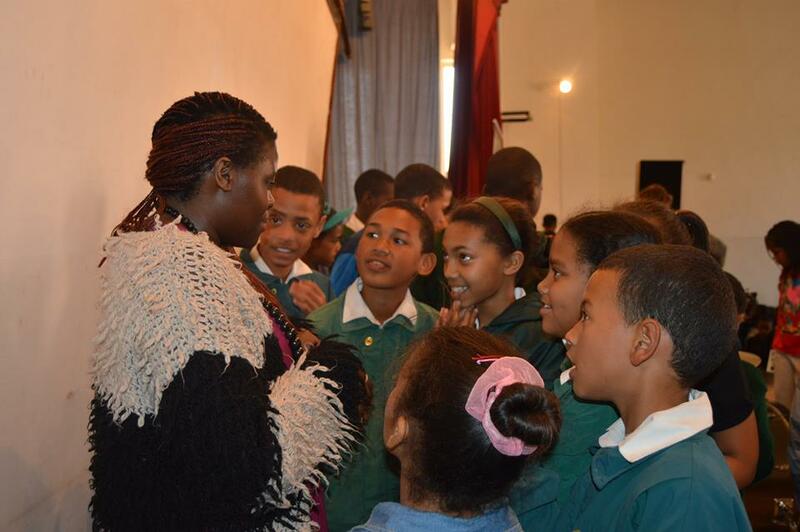 Contact Tasha at email: tasha@thedarlingtrust.org for more info or to attend. 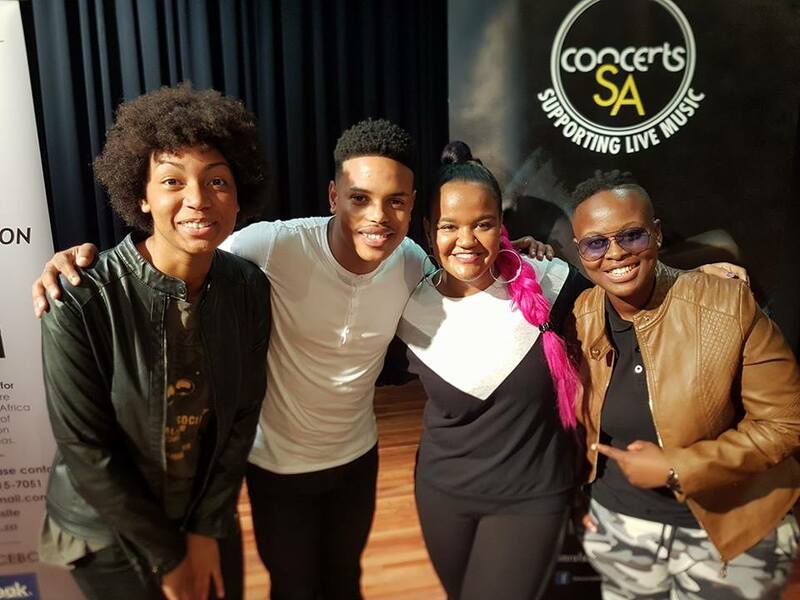 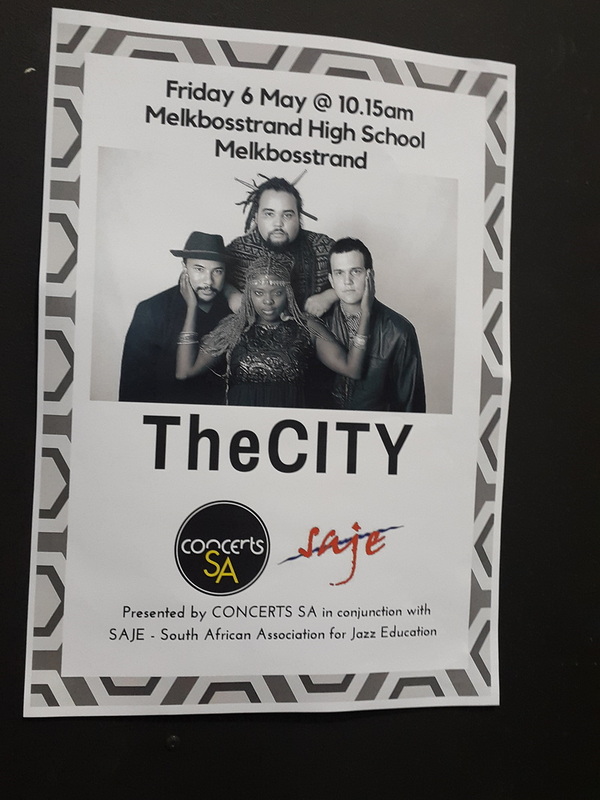 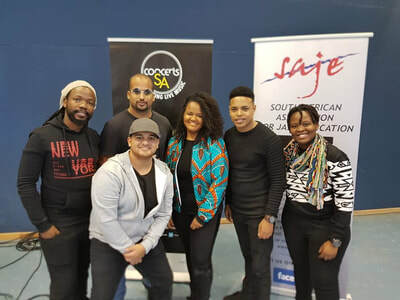 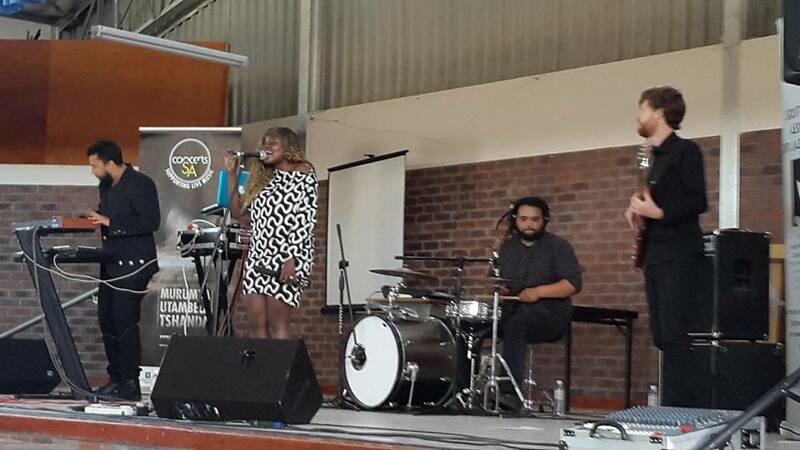 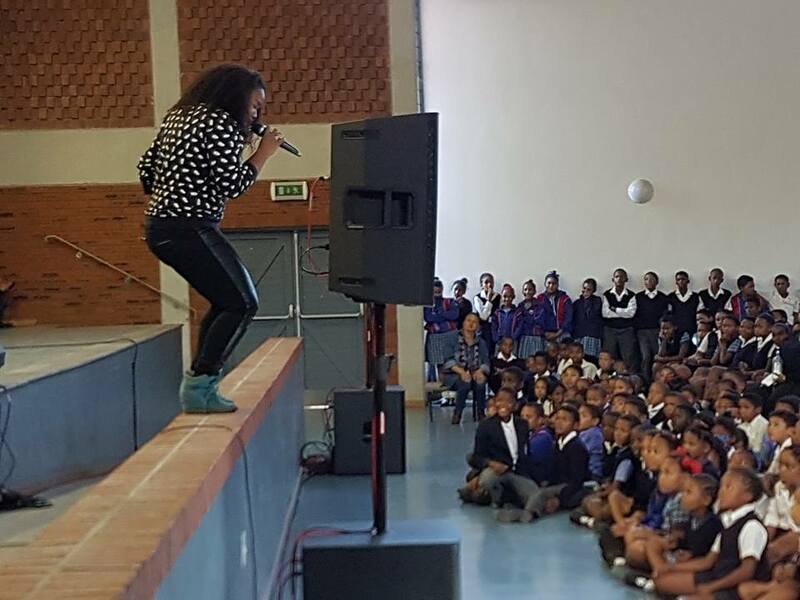 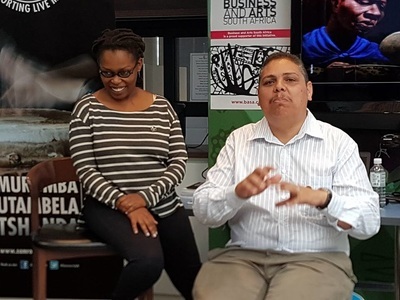 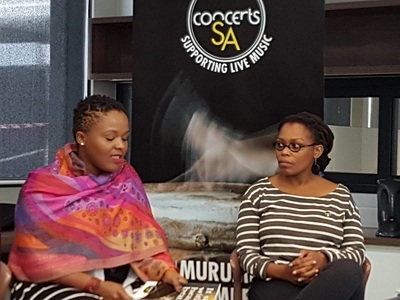 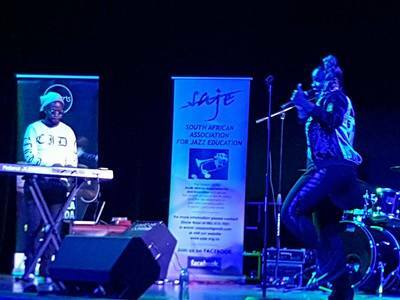 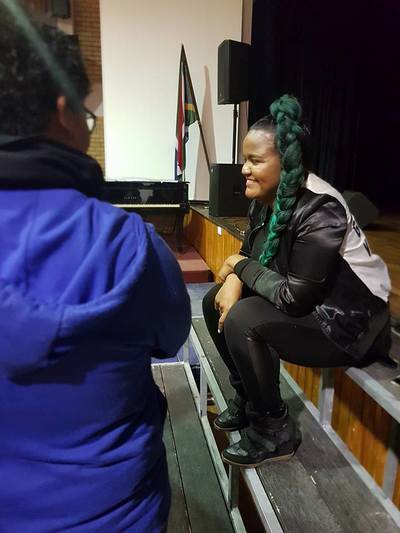 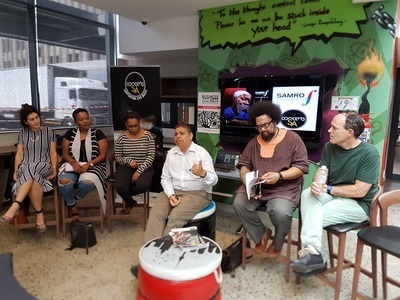 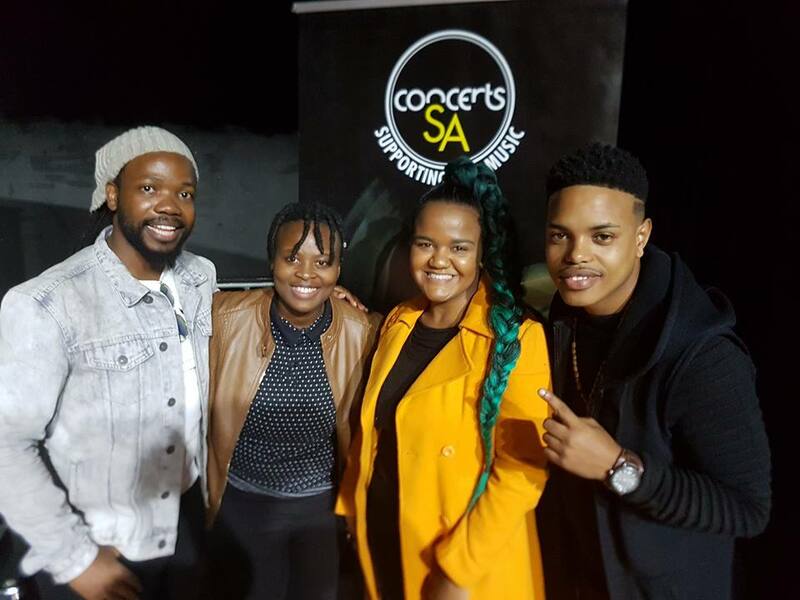 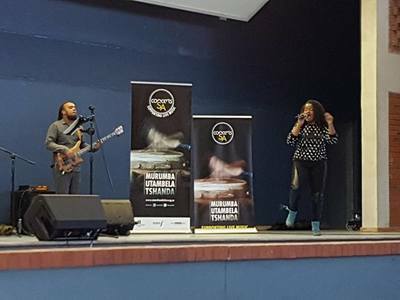 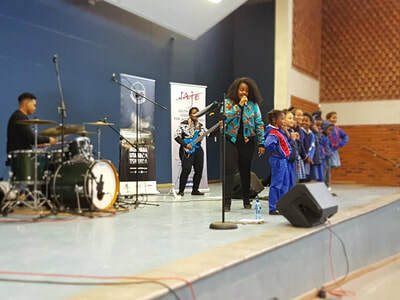 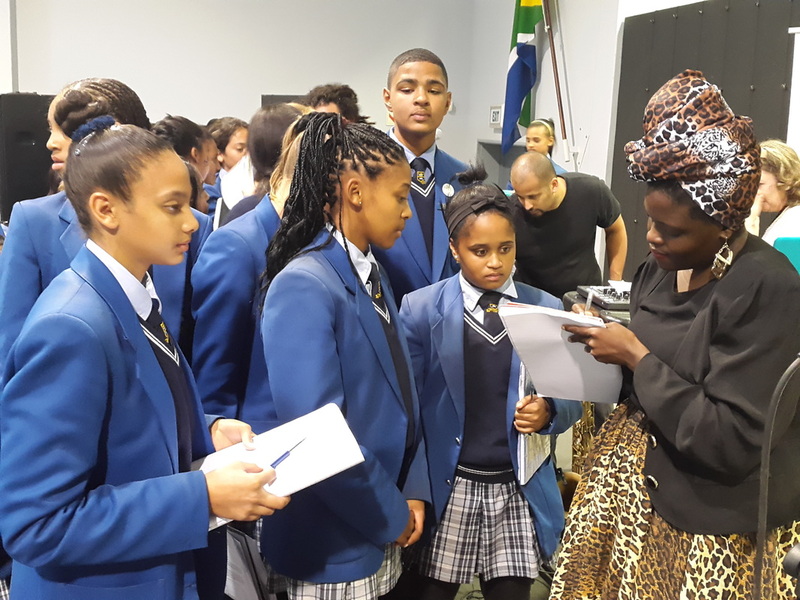 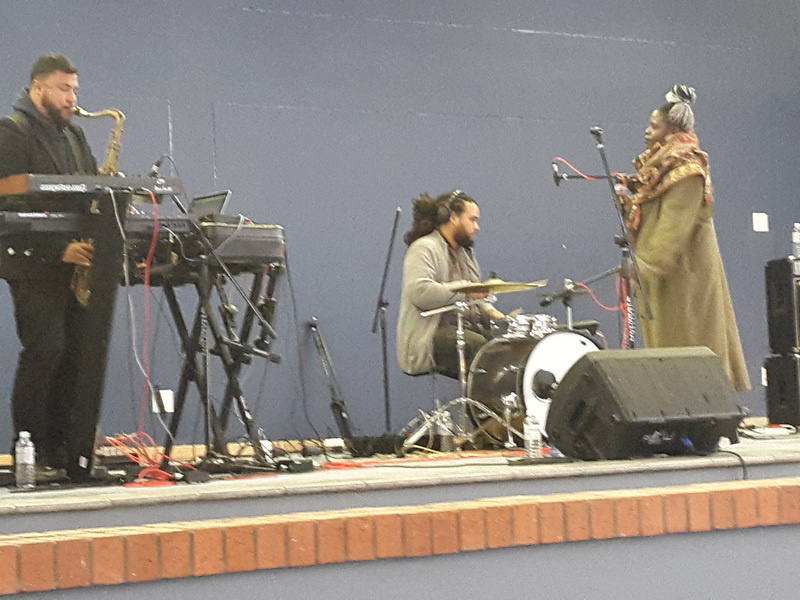 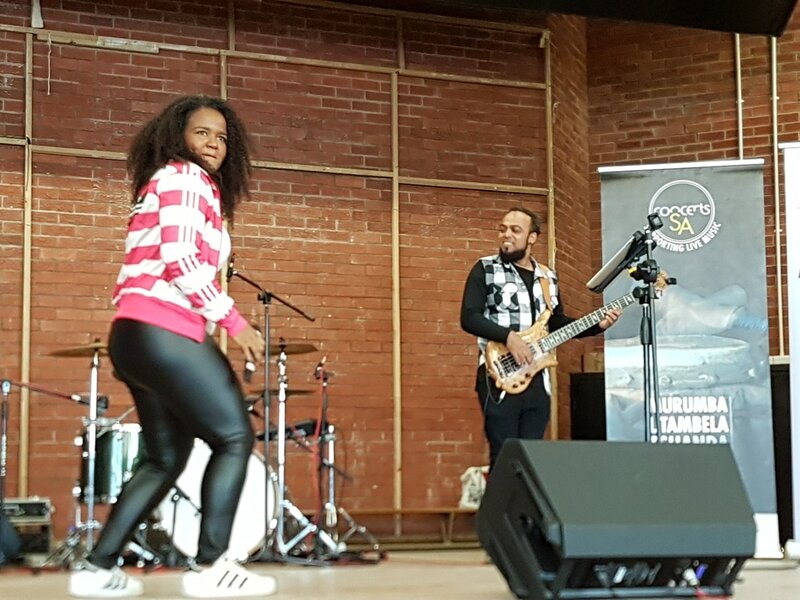 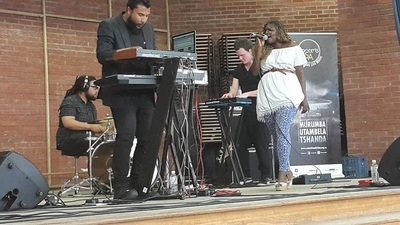 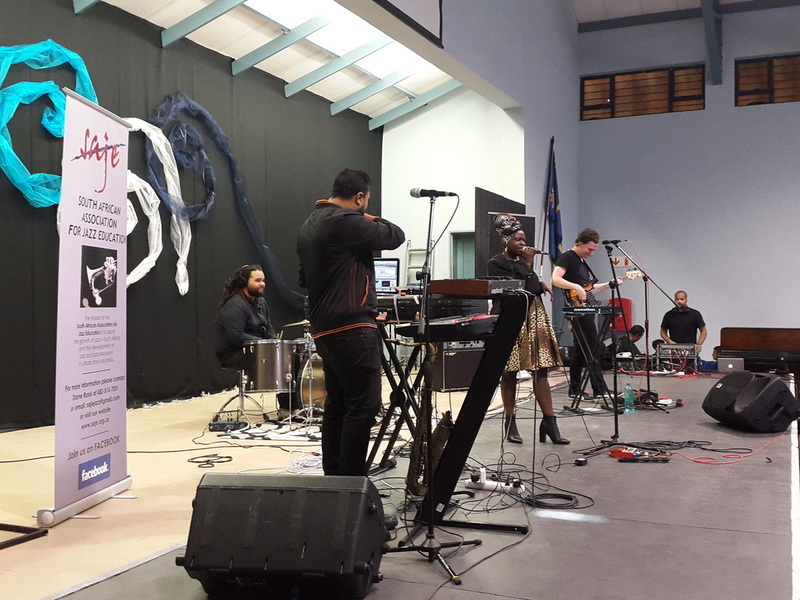 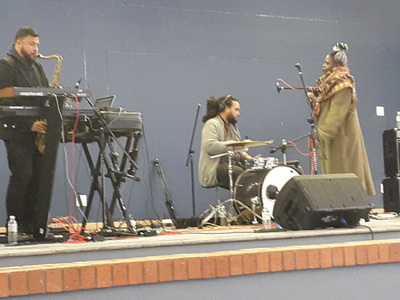 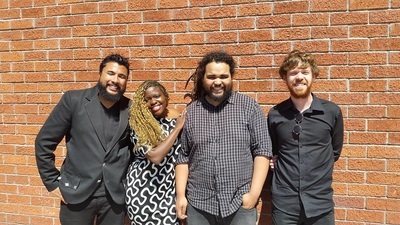 SAJE in conjunction with the Western Cape Dept of Cultural Affairs and Sport will be presenting live performances and workshops in towns along the Cape West Coast for CONCERTS SA. 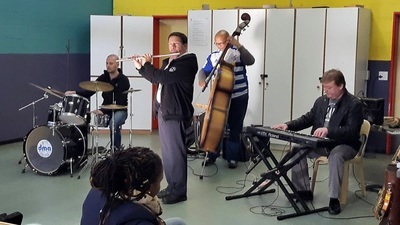 ​performances and workshops along the Cape West Coast during the second half of 2015.